Constructed for the Royal Navy around 1910, the Queen Elizabeth battleship HMS Barham was often used as the flagship in battle. Having participated in World War I with the Grand Fleet at the Battle of Jutland, the ship also participated on August 19 in action. Her usual task was to routinely patrol and train in the North Sea. Having been transferred to the Mediterranean Fleet, she provided protection for several Malta Convoys, and assisted in the sinking of an Italian destroyer and heavy cruiser during the Battle of Cape Matapan in March 1941. German aircraft damaged her during the evacuation of Crete. The German submarine U-331 sunk the Barham off the coast of Egypt in November 1941 causing the loss of two-thirds of her crew, which were 862 men. It was November 24 with the battleship and several other ships escorted by eight destroyers went to search for Italian convoys in the Central Mediterranean. On the next morning the German submarine U-331 commander, Oberleutnant Zur See Hans-Diedrich von Tiesenhausen, heard the faint sounds of the British ships’ engines. He then made the move to intercept the British fleet. 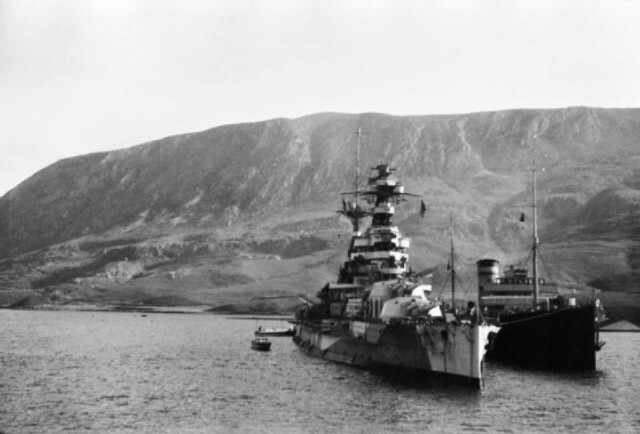 By that same afternoon, the submarine and the British fleet were on reciprocal courses. It was about 4:00 p.m. when von Tiesenhausen ordered his boat crew to man their battle stations. All four of the submarine’s bow torpedoes were ordered to be fired at 4:25 p.m. from a range of 410 yards. Because there wasn’t time to take any evasive action, three of the four torpedoes hit so close to one another between ships that one massive column of water was thrown up causing the Barham to capsize quickly to port. The ship was on her side about four minutes after the torpedoes struck when a massive magazine explosion occurred, and she sank. 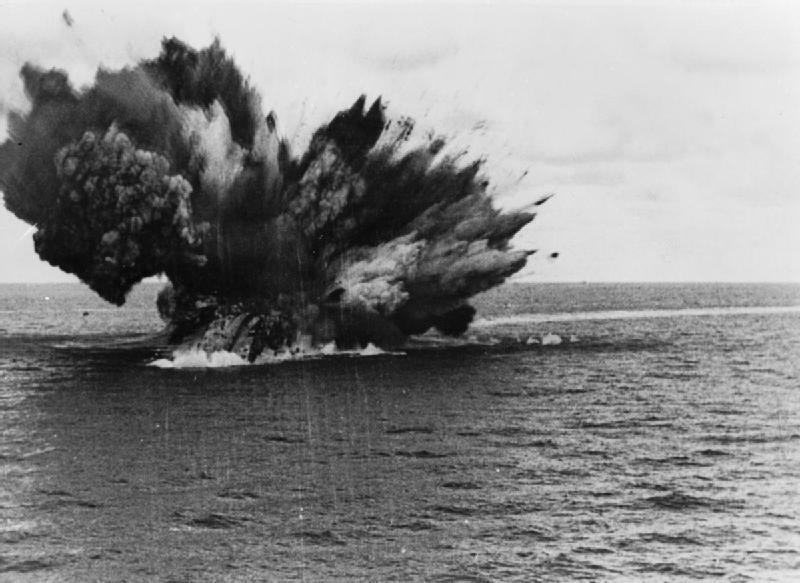 During a Court of Enquiry about the Barham’s sinking, it was determined the final magazine explosion that fired into the 4-inch magazines outboard which were part of the main 15-inch magazines. This resulted in spreading to and detonating the ship’s main magazines. Because she sank so fast the crew lost 862 people.